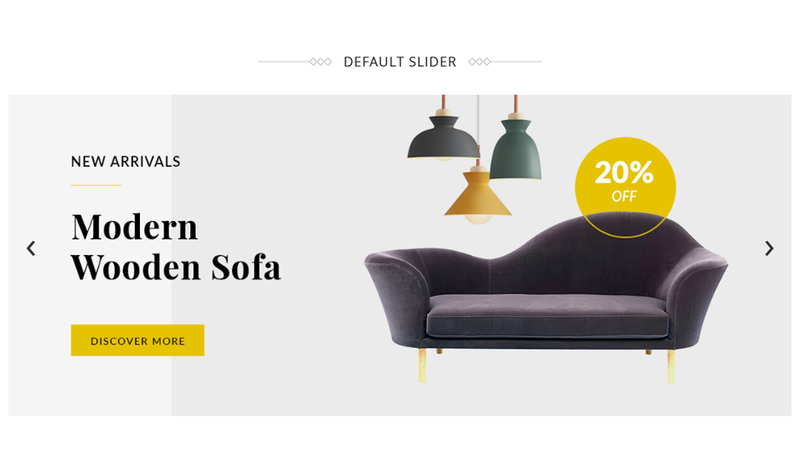 Magento 2 Responsive Banner Slider extension is a powerful tool to promote your latest products or offers in amazing slider effects and grab your customers attention. The various slider effects from Responsive Banner Slider extension are beyond any jQuery conflict. It creates a stunning impression with a beautiful series of images to your store. This fully responsive banner slider extension will allow you to create stunning banner sliders to showcase your products, brands, promotional offers on the homepage or any CMS pages. 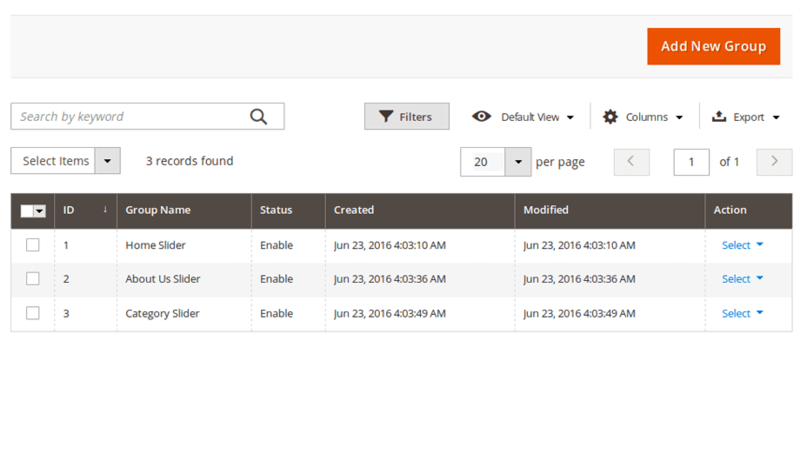 This Magento 2 extension provides better configuration option from the admin side. 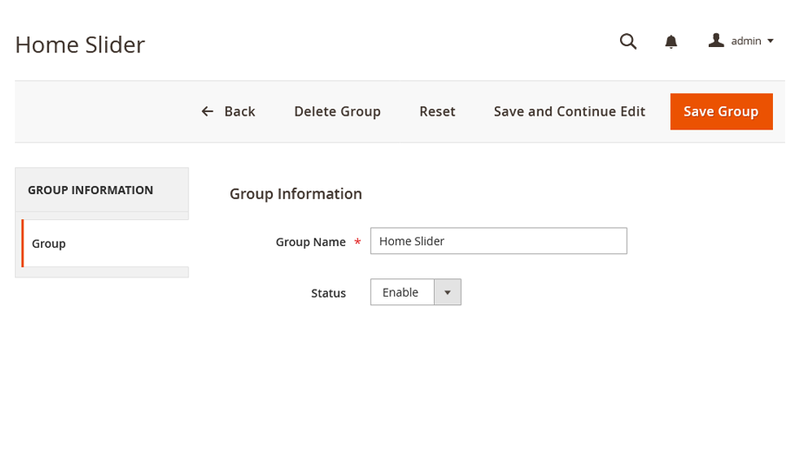 Admin can display this slider on any CMS pages easily. 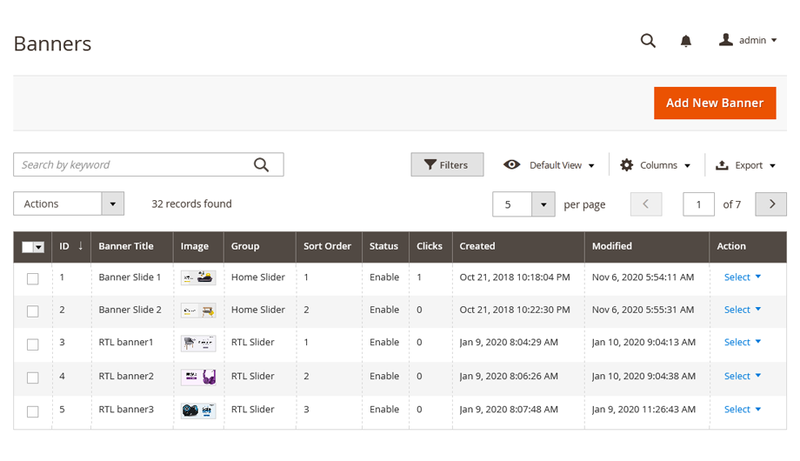 Provides fully customizable interface from backend that is easily manageable. Comes with CSS3 transition ready to use with documentation. Store owner can use this extension as a widget. simple and efficient ! 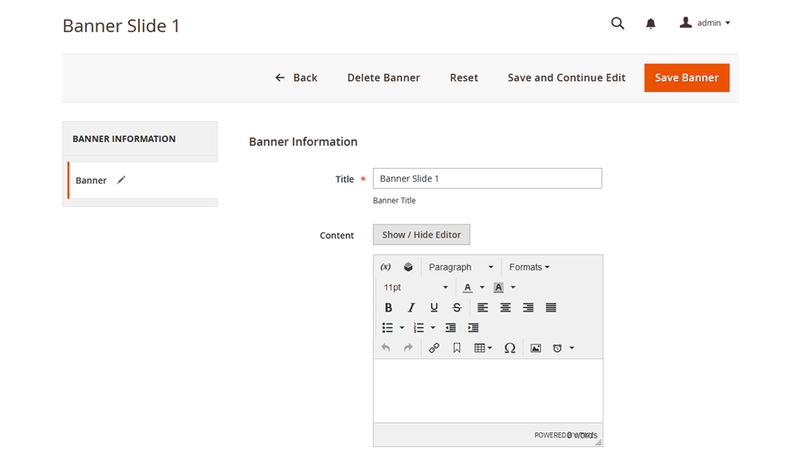 Works like a charm and the sliders are great attention getters on any website. Keep up the good work. Download the Responsive Banner Slider extension .ZIP file from solwininfotech.com using your Solwin Infotech website account. If you are using Magento 2.0.x then you need to extract solwin-bannerslider-m2-2.0.x.zip file. If you are using Magento 2.1.x then you need to extract solwin-bannerslider-m2-2.1.x.zip file. If you are using Magento 2.2.x then you need to extract solwin-bannerslider-m2-2.2.x.zip file. If you are using Magento 2.3.x then you need to extract solwin-bannerslider-m2-2.3.x.zip file. If you are using Magento 2.1.x then you need to extract solwin-bannerslider-m2-EE-2.1.x.zip file. If you are using Magento 2.2.x then you need to extract solwin-bannerslider-m2-EE-2.2.x.zip file. Now, you can see the Solwin menu in admin panel. Please go to Solwin -> Responsive Banner Slider -> Configuration and select Enable to Yes.